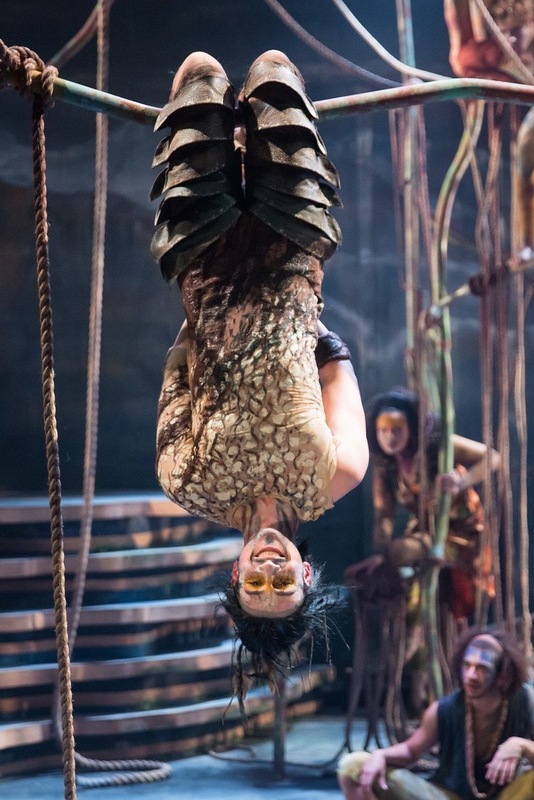 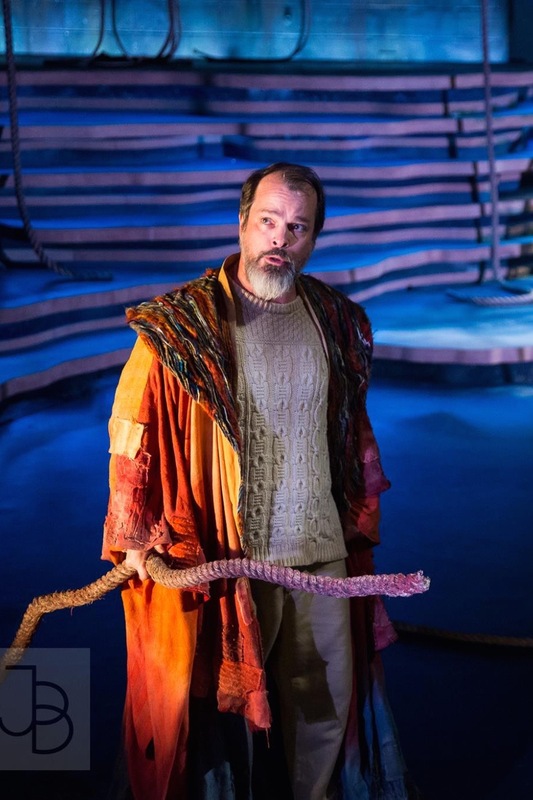 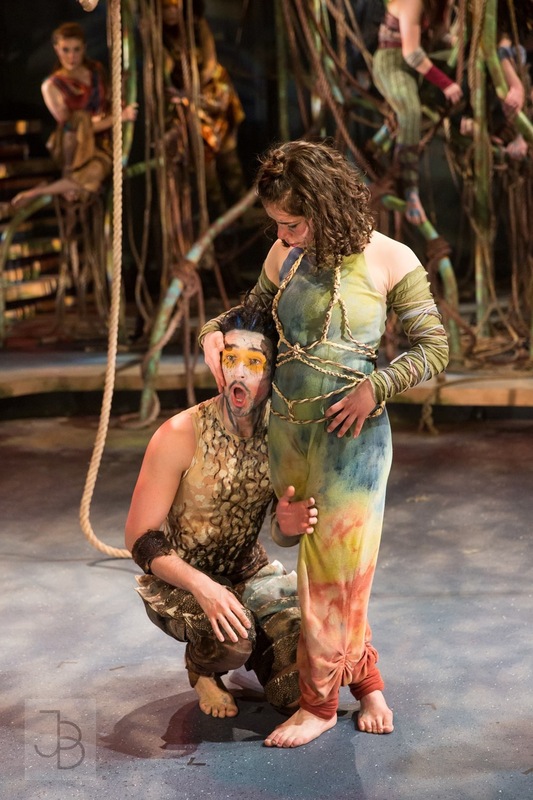 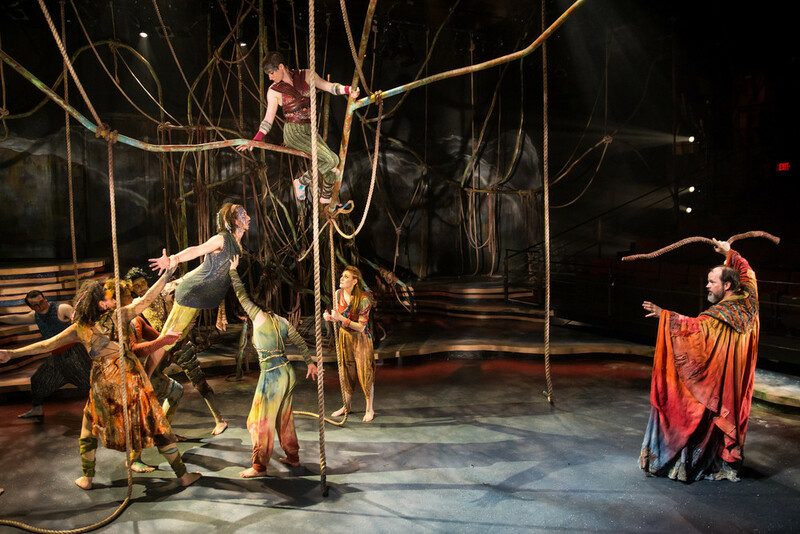 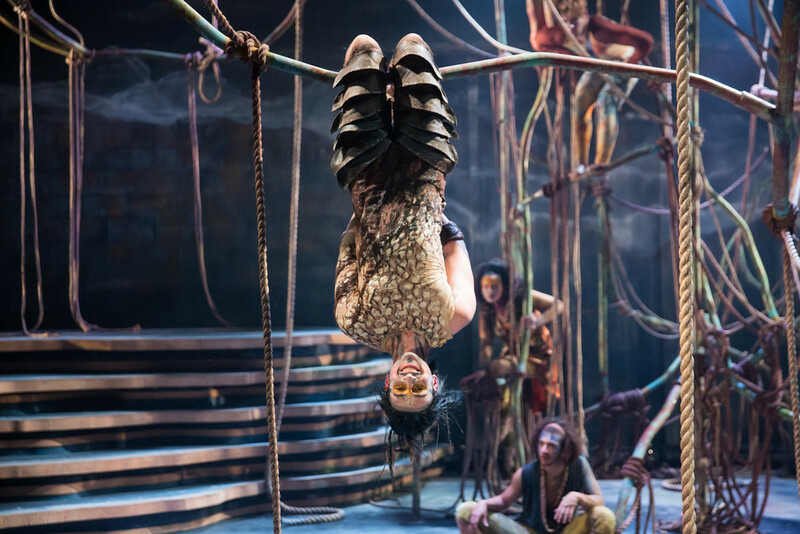 This adaptation of The Tempest takes the unique point of view of exploring the magic within theatre in its purest form through the art of human body in action. 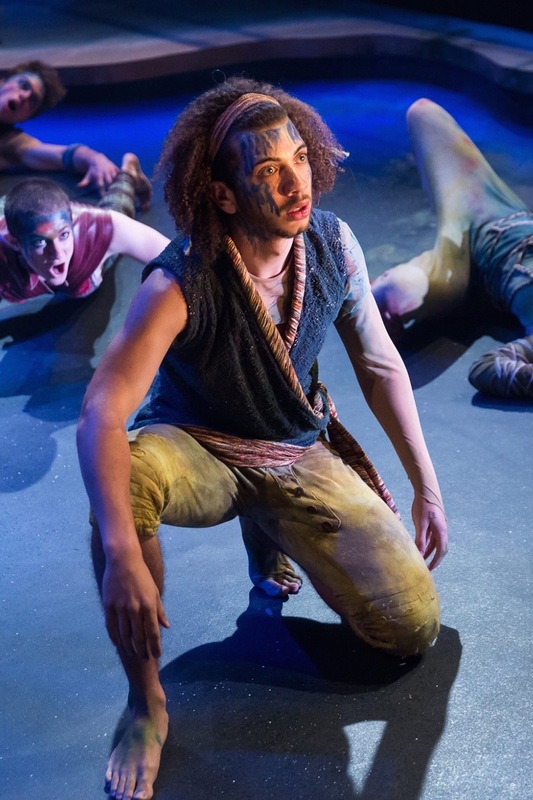 Prospero controls the rest of the ten-person ensemble, who each, simultaneously with their own individual character, come together to embody Ariel, the magic of the island. 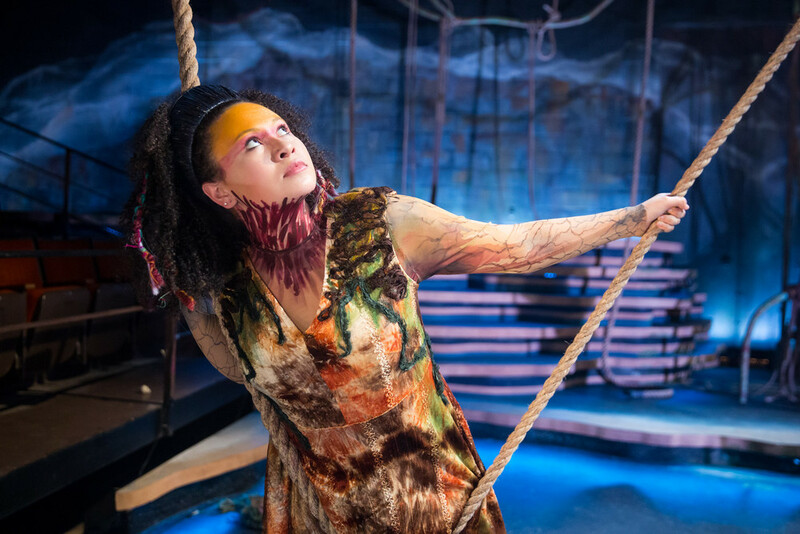 I set out on a tactile journey, gathering textures, colors and materials of the island from which I collaged clothing that would act as a second skin, rather than worldly clothing. 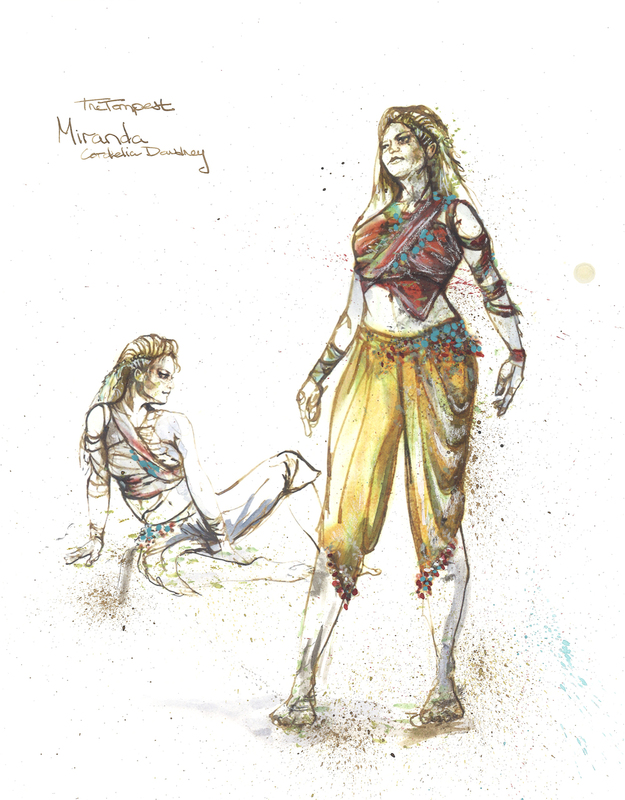 The individuality of each ensemble member’s costume is definitive of their human character’s traits and personality. 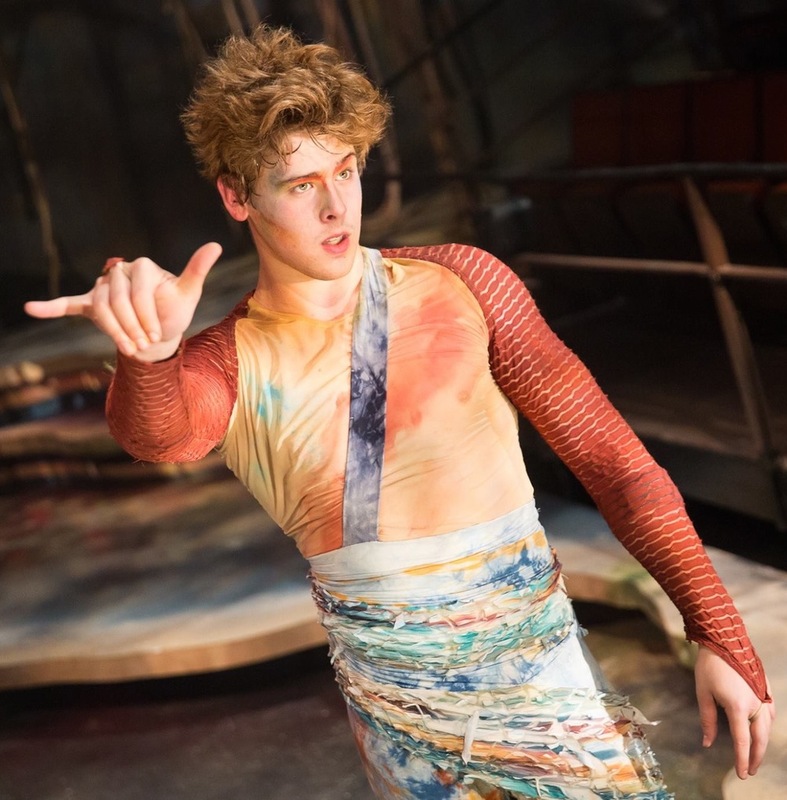 The visiting characters, their clothes dyed anew by the water have undergone “a sea change into something rich and strange."